TAMBUN (5191) forming bolinger band squeeze. Immediate support @ MA20 / MA50 support level. 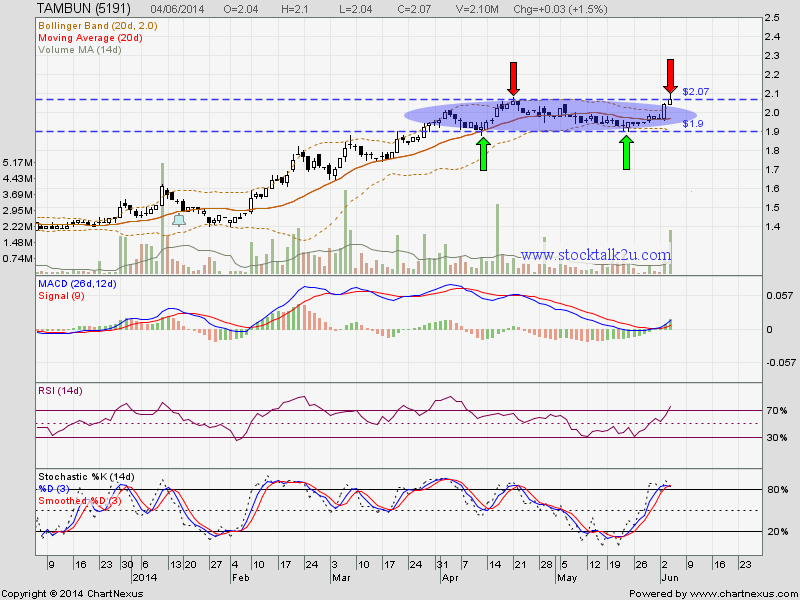 If able breakout, higher high been confirm, uptrend will resume..